The Mines and Geosciences Bureau Regional Office No. XIII held an Orientation-Workshop on the Revised MGB Form No. 29-16 and Other Monitoring Reports Relative to Mineral Statistics and Economics and Regional Memorandum No. 2018-08 on January 30–31, 2019 at the Philippine Gateway Hotel in Surigao City. This is in line with the ongoing thrust of the government to effectively monitor the wealth accruing to the government and communities as a result of mining, particularly in the administration and disposition of mineral resources. The two-day activity was attended by 26 personnel from MGB RO No. 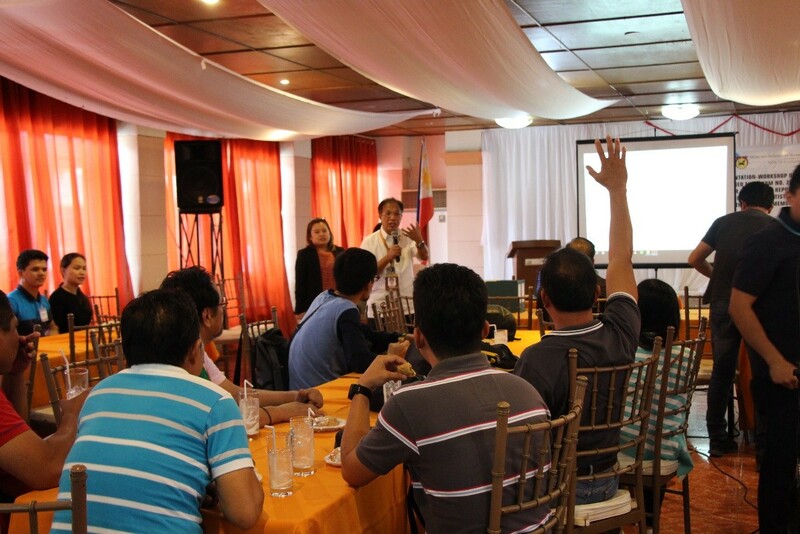 XIII, together with 70 participants from 23 Caraga mining companies. The first day featured topics pertaining to Mineral Statistics and Economics such as Review on the Mineral Statistics and Economics-Related Reportorial Requirements; MGB Form No. 29-16 (Integrated Annual Report of Metallic, Non-Metallic, and Quarry Resources); Quarterly Monitoring Report of Investments and Employment of Metallic, Non-Metallic Minerals and Quarry Resources; and Annual Report on Taxes, Fees and Royalties Paid and Withheld by Mining Contractors / Operators and Exploration Permittees, which were all discussed by Ms. Ivee Drea Canoy-Zerda, Economist Designate of MGB RO No. XIII. Topics for Day 2 focused on the standard validation and monitoring procedures for mineral / mineral product and by-product shipments. The orientation proper was facilitated by Engr. Brenice Ann M. Gendeve-Castillo, Chief of the Monitoring and Technical Services Section (MTSS) in which the discussion on Regional Memorandum No. 2018-08 re: Revised Procedural Guidelines in Shipment Verification / Monitoring of Minerals / Mineral Products and By-Products Including Tailings. On the other hand, Engr. Ernesto C. Calzar of the Mineral Lands Survey Section and Engr. Crystal Sheen E. Tapales of the MTSS, discussed the Stockpile Validation of Bulk Ore and Mineral Products and By-Products (Nickel/Cobalt Mixed Sulfide, Scandium Oxalate, and Gold), respectively. The activity culminated in a Technical Conference on the Results of the Scorecards led by Engr. Glenn Marcelo C. Noble, OIC-Regional Director of MGB RO No. XIII, together with the representatives from mining companies that failed to reach the overall passing rate of 80% for the Tenement, Safety and Health, Environmental, and Social Development (TSHES) Monitoring for CY 2017, in compliance with MGB Memorandum Circular No. 2018-02 re: Guidelines for Compliance Monitoring and Rating / Scorecard of Mining Permits / Contracts.